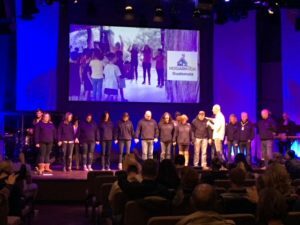 Team Guatemala was commissioned this past Saturday and Sunday. We felt your support and will carry your prayers with us on our journey. We depart from Lakeland on Thursday around 1:30 am and will spend the entire day traveling. We have been taught that if we come to the Word of God with an expectant heart that our lives will be impacted in a way that will be transforming. So as we prepare in the final hours, this team will put on “The Armor of God” to be the hands and feet of Jesus! We have been arming ourselves for a different kind of a Spiritual battle then most of us are used to. We are extremely grateful to have prayer warriors coming along side us as we embark on this calling. We are learning that Hogar is in an area surrounded by and filled with white magic. White magic is described as “good” magic, as opposed to black magic, which draws upon the powers of evil beings. Opinions vary as to the differences between black and white magic, ranging from the idea that they are two names for exactly the same thing, to the belief that they are completely different, especially in goals and intent. The Bible does not differentiate between “good” and “bad” magic. Magic is magic as far as the Bible is concerned. Scripture doesn’t distinguish whether the magic is supposed to be used for good or for bad; it’s all forbidden because it appeals to a source of power other than God. 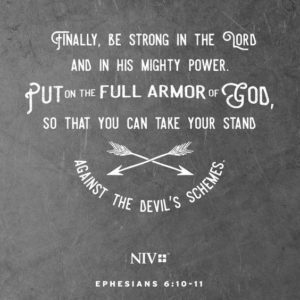 As you read through this declare the Armor of God upon us. This is Lakeland’s Maiden Voyage to Guatemala and though we have an amazing relationship with Hogar de Vida, this is all still very new for everyone. Pray for this team over the next week that we can… BRING THE LIGHT!